At JustGive, we help many large corporations incorporate philanthropy into their workplace or customer programs. But we also work with many smaller organizations that have great ideas for driving more philanthropy. Like KonectIDY, one of our latest partners to use JustGive’s products to make charitable giving part of their business. KonectIDY takes the trend of fundraising bracelets and turns it on its head, breathing new life into what was once a one-size-fits-all movement. 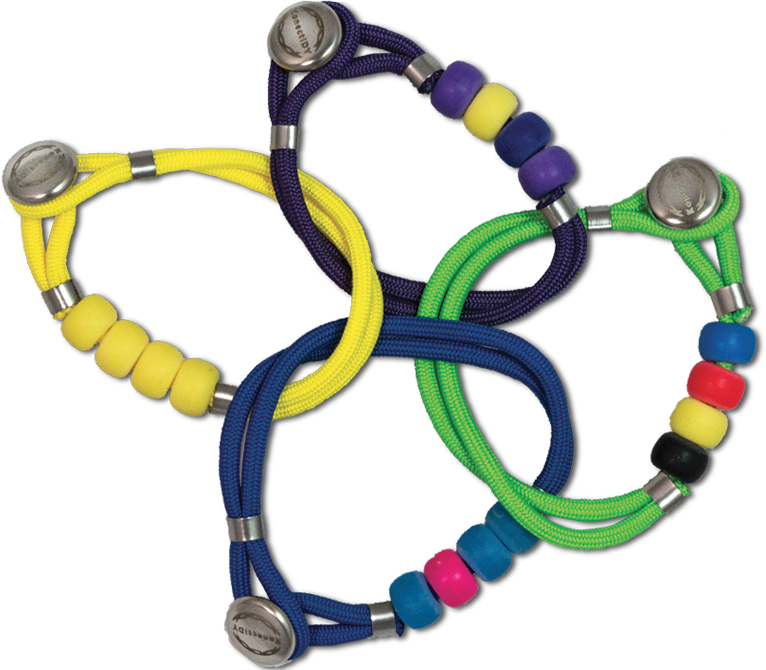 On the KonectIDY website, consumers can create a personalized bracelet with various color beads representing the cause, loved one or organization they want to support. They can purchase one bracelet for themselves, or create a bracelet that others can buy in support of their cause. Every time a bracelet is purchased, 20% of the proceeds go to the beneficiary organization. The IDY in the KonectIDY name stands for “Identify Yourself.” Instead of wearing the exact same bracelet as every other supporter, KonectIDY gives consumers the chance to personalize their wearable statement while showing solidarity with a cause. As a small startup, founders Tony Peluso and Peter Ettenborough knew they wanted their sales to benefit charity, but didn’t know how to make that a reality. If you’re not a nonprofit organization, how do you ensure donations reach the charities? That’s where JustGive came in. As a Donor Advised Fund (DAF), JustGive is set up for a very specific purpose: to distribute charitable donations from individuals and companies to nonprofits. For KonectIDY, that simply requires providing JustGive with the data each month about which charities should receive donations and for how much. We take care of disbursing funds to the charities, and making sure the nonprofits know the donations are coming from KonectIDY customers. “JustGive seamlessly facilitates the entire process so we can focus on our business and our purpose,” Peluso said. The idea behind KonectIDY started close to home for Peluso, when a young girl named Aine in his community died suddenly, devastating the family and neighbors. They produced 600 bracelets to memorialize Aine, and sold out of them at a fundraiser for the foundation created in her honor. Now Aine’s supporters wear the bracelets around town, displaying their support and shared experience. KonectIDY, launched in the summer of 2013, has already powered bracelet fundraisers for some significant causes like The Nelson Mandela Children’s Hospital Fund. Every “Legacy of Hope” bracelet helps support Nelson Mandela’s final wish to open a children’s hospital in South Africa. Proceeds from the “Ghandi for Children” bracelet support the Ghandi Worldwide Education Institute, fighting childhood labor in India by advocating for children and supporting education. So that’s how KonectIDY is making a difference. Want to talk about ways to make charity part of your business? Just contact us. P.S. Visit KonectIDY to create your personalized bracelet and tell your story while supporting your favorite cause, right from your wrist. This is amazing blog you have explained very well. For a fundraising purpose this is amazing. Bracelets and bands are a great way to fund-raising money and also way to spread awareness.